The Seventeenth Judicial District Commission on Judicial Performance unanimously recommends that Judge Francis C. Wasserman BE RETAINED. 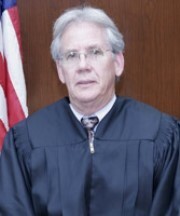 Judge Wasserman, a District Court Judge for the Seventeenth Judicial District, was appointed to the bench in 2005. Prior to his appointment, he was engaged in the practice of law in the District Attorney’s office for the Seventeenth Judicial District and was an adjunct professor of law at the University of Denver College of Law. He graduated in 1978 from the University of Florida, Gainesville with a Bachelor of Arts in Political Science, and obtained his Juris Doctor in 1981 from the University of Florida College of Law in Gainesville. Judge Wasserman’s case load presently consists of 45% criminal, 10% civil, 10% domestic relations, and 35% juvenile. In arriving at their recommendation, Commission members interviewed Judge Wasserman after reviewing survey results provided by lawyers, parties, and other individuals who appeared in front of Judge Wasserman or otherwise observed him in court. The Commission members also reviewed Judge Wasserman’s self-evaluation, observed him in court, and reviewed a number of decisions rendered by the judge. During this election cycle, Judge Wasserman’s survey results from attorneys and non-attorneys showed his ratings were slightly below the statewide average among all district judges standing for retention. Of attorneys responding to the survey, 65% recommended to retain, 30% not to retain, and 5% made no recommendation regarding retention. Of non-attorneys responding to the survey, 81% recommended to retain, 12% not to retain, and 7% made no recommendation regarding retention. (These percentages may not total 100% due to rounding). The Commission believes Judge Wasserman shares his expertise of the law both in and out of the courtroom. He keeps up to date on Supreme Court rulings and applies those rulings where applicable. He has a high regard for his position and high expectations of all that enter his courtroom. He answers their questions and educates them on courtroom procedure. Judge Wasserman is appreciative of the duties of jurors that sit for trials and he always speaks with them after the case has been completed to thank them for their service. Judge Wasserman may seem harsh to the unprepared but he does not ask of others what he does not expect of himself, as each person that enters his courtroom deserves professionalism, preparedness, courtesy, and knowledgeable representation. Based on its review, the Commission unanimously recommends that Judge Francis C. Wasserman BE RETAINED.